Proper maintenance is quite essential if you want to fully maximize the life span of your cricket bat. It is recommended that you check your bat thoroughly for any damages or excessive wear at least once every year. However, if you have a natural or oil bat, you should check every three months. Wood is highly susceptible to heat or wetness. Therefore, ensure that your bat is stored somewhere that is not damp, wet or too hot. 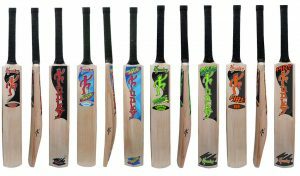 Avoid storing your bat in hot areas such as your car as this can cause the wood to warp. In the event that your cricket bat gets wet, use a dry cloth to wipe it and then leave it in a cool place to dry. As soon as the bat dries, apply a thin layer of oil. You should remove the anti-scuff sheet on your cricket bat after every season. After you have removed the sheet, apply a layer of oil before letting it sit for a maximum of 24 hours. Once that is done, apply another layer of oil and this time let it sit for at least a week. The third step is to sand down your bat and then repeat the oiling process. The last step involves applying a new anti-scuff. You should do random checkups on the rubber handle of your cricket bat. Replace your rubber handle immediately if you notice some wear or cracking. Once you’ve gently rolled the new grip on, use a bat tape to tape it together. You don’t have to take on the burden of repairing your cricket bat. If you notice problems that you can’t fix during maintenance consider taking your bat to a professional. This ensures that your bat is not only properly maintained but the repairs last longer.